Making rail journeys more dynamic. 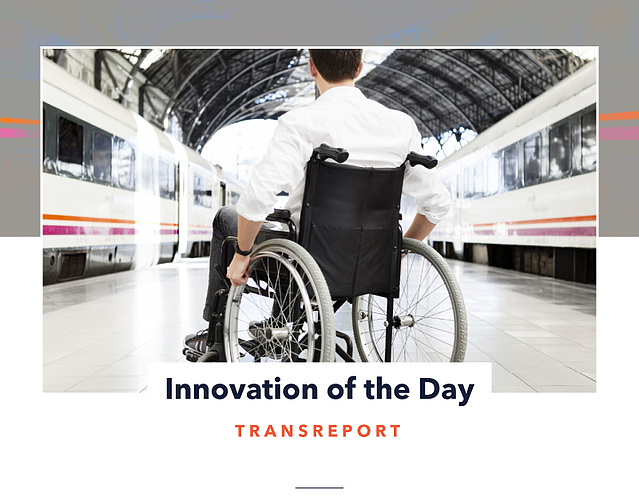 September 2018 saw four UK rail companies trial Passenger Assist by Transreport: an app designed to make rail journeys for disabled users easier. The app will allow disabled users to share their exact location with station staff in real-time. Currently disabled passengers’ who book assistance have their scheduled arrivals and locations provided to station staff on paper at the start of the day. Yes, we were shocked to learn that in 2018 — when geolocation is so commonplace that even sheep in the Faroe Islands are on Google Maps — disabled passengers often have to wait for assistance and face the risk of being trapped on board. Clearly we have some way to go before we have our priorities with technology fully straight, but this innovation is at least a small step in the right direction. What does this innovation mean for you? - The marketing industry has made some welcome strides in including a wider range of ‘minorities’ (ugh, can’t we just say real people?) in campaigns. But that’s not enough. Think beyond inclusive marketing and take practical steps to ensure that every aspect of your customer experience is inclusive. - Do you have any antiquated or painfully inefficient processes? If so, ask yourself why and how they have survived? And if you don’t have a valid reason, then it’s time to catch up. That doesn’t necessarily need mean ultra high tech: GPS and apps are decade-old technologies, but applied here for an important purpose. Are you picking the right tools, or chasing after the latest shiny object? Receive innovations like this, every weekday, straight to your inbox. You received this email because you are subscribed to Innovation of the Day from TrendWatching.